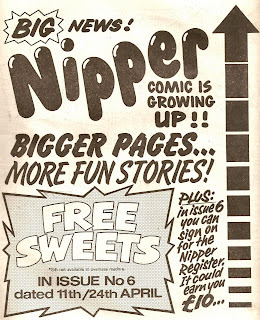 Nipper was launched on 31st January 1987, and was set to change the shape of comics. 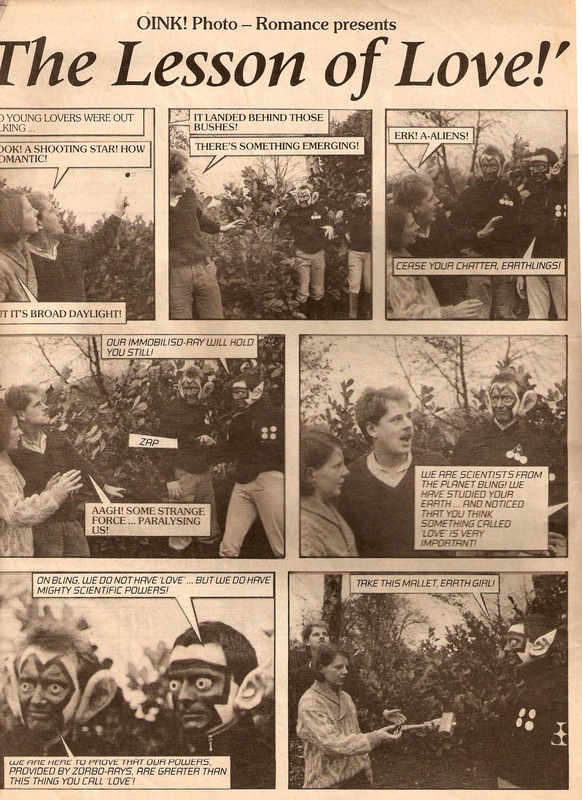 It didn't of course, as it only lasted for 16 issues, which came out fortnightly. Which is a real shame, as it was very good. 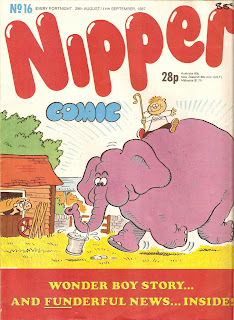 As with a lot of other comics, a sample of Nipper was given away free with another comic, I think it was Whizzer and Chips, Buster and Oink. 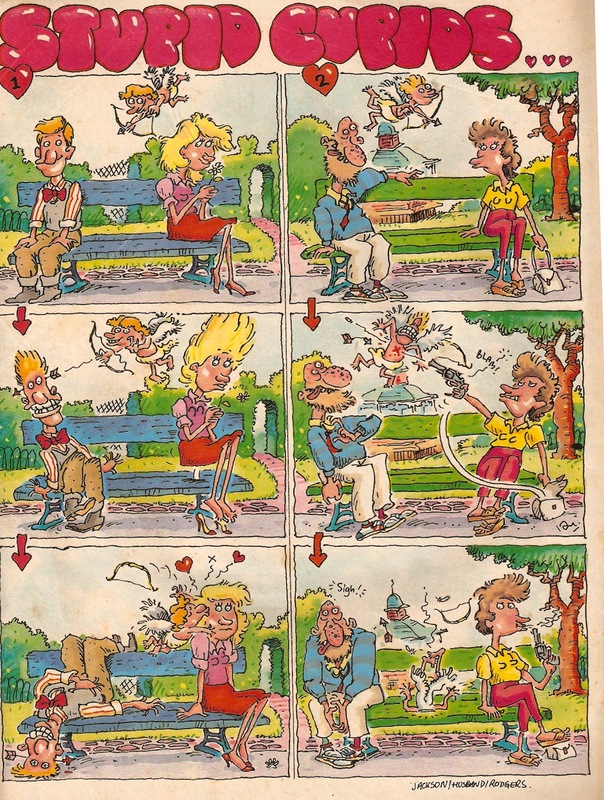 Unlike other comics, this one was pocket size (A5), and had 48 pages. 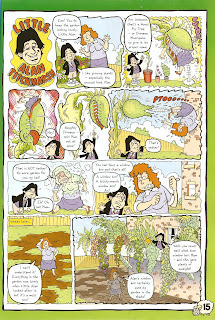 Issue one introduced the popular Ricky Rainbow, a boy who could change colour! It reveals that he stood under the end of a rainbow, and has been able to change colour ever since. Nipper also included Nipper himself, a bit like Buster, but younger. Other characters included Flapper, Brad Break, Wonder Boy, Magic Trainers, Frankies Flashlight, Nursery Crimes and more. Nursery Crimes is a similar story to Kid's Court, but, because the comic was aimed at a younger audience, is set in a nursery. 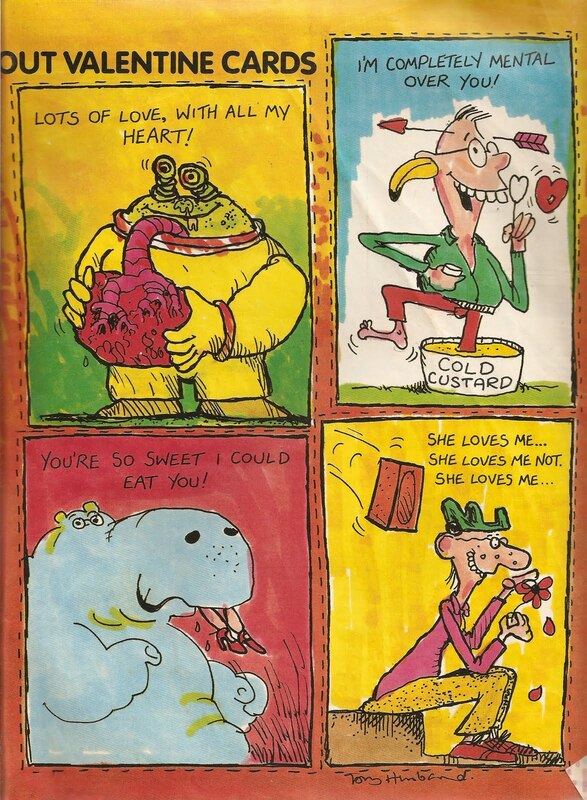 I am also a big fan of Felix the Pussycat, drawn by Tom Paterson. 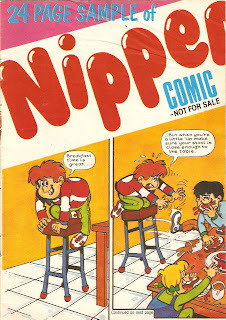 Also, I was reading reviews of Nipper online, and can tell that the only resource that they have is the 1988 annual, because Kidder, The Mini monks and Animal Army did not appear in the comic! 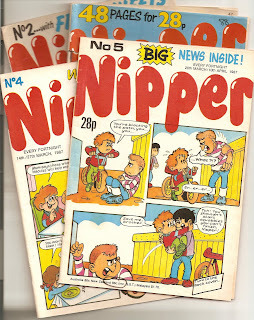 With issue 6, Nipper saw itself go from a 48 page A5 comic, to an average 32 page A4 comic. 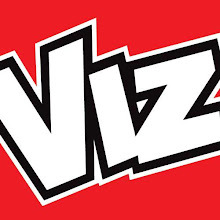 So much for changing the shape of comics! 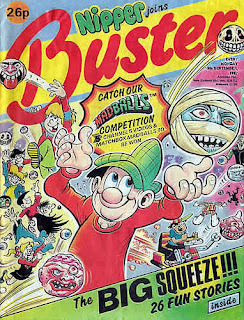 Then, with issue 16, it folded and merged with Buster. With it went Brad Break, The savers, Roys Toys, Nipper, Handy Andy, Mighty Mouth, Strong Arm,Flapper and My Dad Mum! 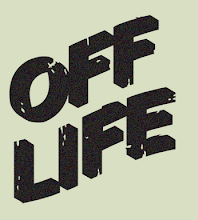 Just before the title folded, a Holiday Special was launched. Unlike some other Holiday specials, this one featured 100% new stories. Like the annual, a new character was created to fill the pages. 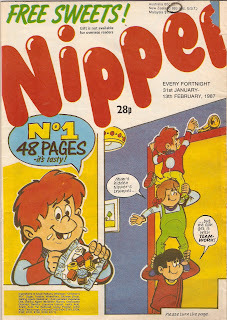 Pete the Poacher made his one ond only apperence inside Nipper. 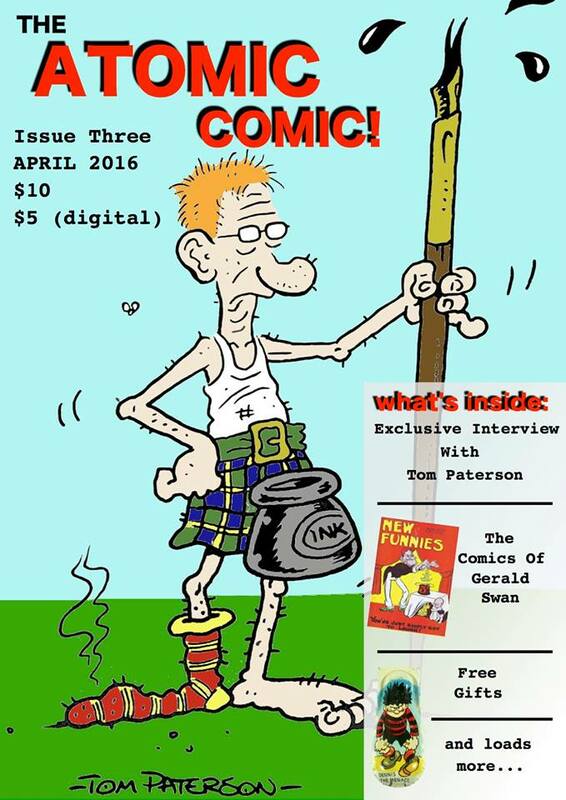 Beano 3573 is out now, with four free gifts! 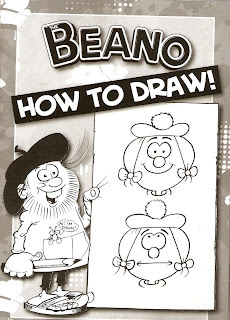 Football stickers, Beano bopper, Haribo sweets and a how to draw book. They really shouldn't call them gifts, as this issue costs £2.50! This issue also features some more classic stories, this time a 1958 Biffo The Bear by Dudley Watkins and a 1960's Rodger the Dodger strip by... well, who do you think? If you guessed Ken Reid, you are wrong! 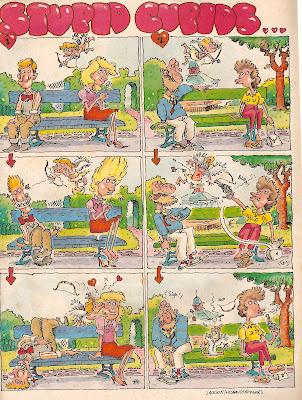 This story was drawn by Robert Nixon ghosteing Ken's style. To be honest, he's very good at it! 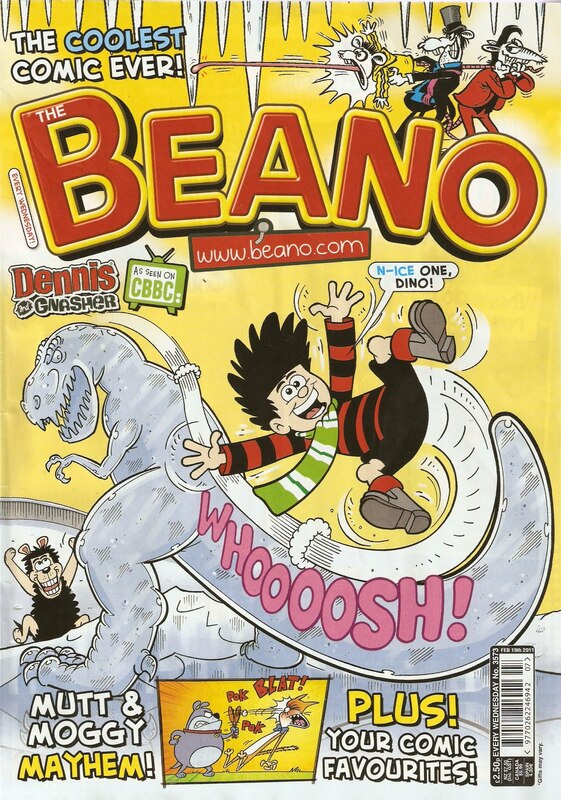 Beano #3573, out now, £2.50! 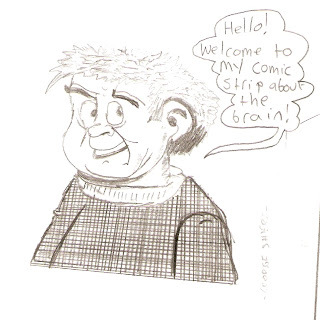 I've been studying Ken Reid for about 6 months now, and I've finally mastered him mixed in with my own art style (of course, I'll never be as good as the master)! Here's a box from a brain study I had to do. It's not yet inked or coloured, but I'm proud of it! 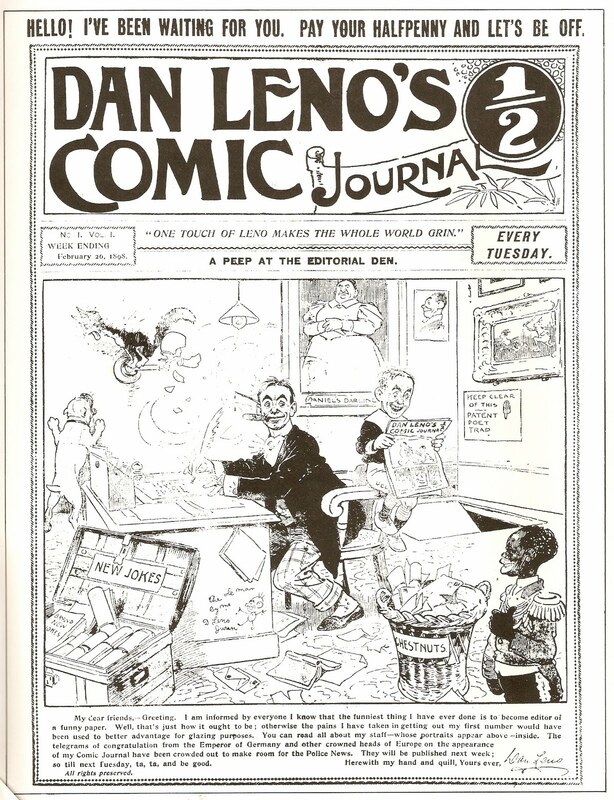 Dan Leno's comic journal (issue one dated Febuary 26, 1898), Film Fun and Radio Fun were the first comics to start featuring celebrity stories, but most people will remember them from Buster comic. Celebrities started appearing in Buster way back in the early 60's. It started with Whacko (who came to Buster with Radio Fun), quite a popular character who survived most of the 60's, finishing in 1968. Jimmy Edwards was Whacko, a nasty school master (with the moustache for it too)! He always had trouble from the kids, led by Claude and Cuthbert. Unfortunatly for them, they nearly always lost in the end! 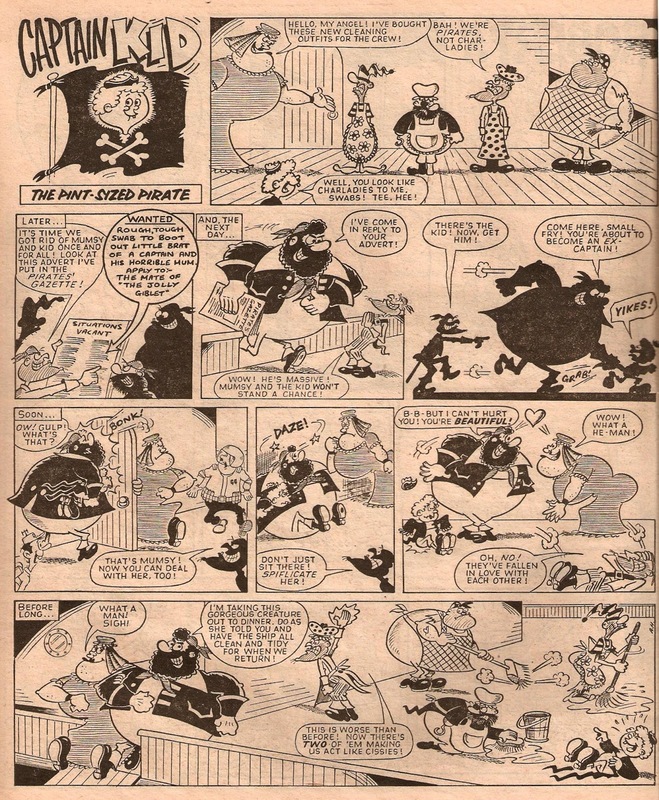 Originally drawn by James Malcom, but Reg Parlett took over in 1966. 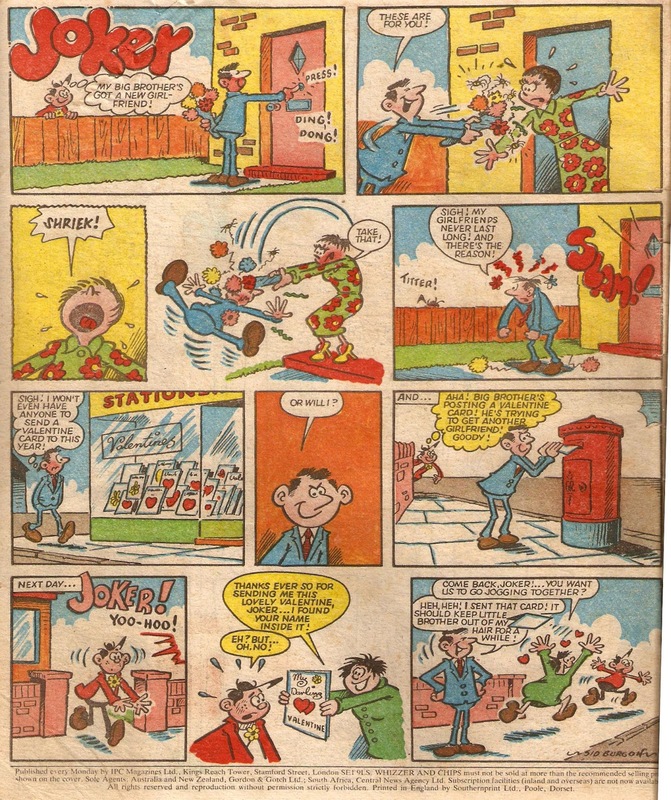 From Buster 6th January 1962. Charlie Drake was another popular character, starting in Buster in 1961 (he was also lauched in Radio Fun) and ended in 1965. Artwork by Arthur Martin. This one is from Buster issue dated 24th March 1962. Bruce Forsyth wasn't a very popular character, he was launched in September 1962, and finished in August 1963. Heres one from 10th November 1962. Artwork by Roy Wilson. There were also other celebrities such as Benny Hill (1966- 1968) and Harry Secombe (1967 - 1968), but they were all gone by the 1970's. 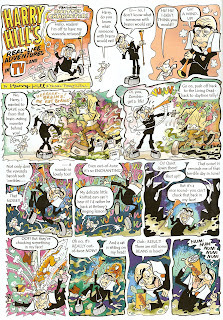 It looked as though celebrities in comics had died, until the Dandy changed it's style late last year, with issue 3508! 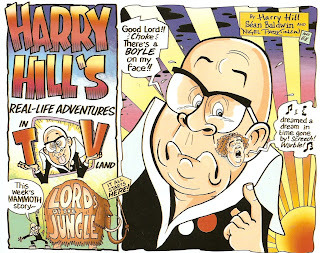 I'm not sure if they got the idea of including Harry Hill off Buster, but it did have a similar style to it. 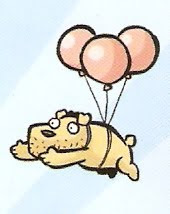 But then again, don't all comic strips? 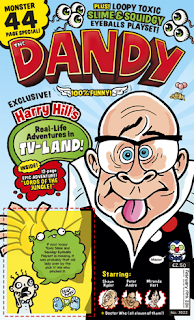 Harry Hill, the popular T.V comedian, is drawn by Nigel Parkinson, and must be popular with Dandy readers, as he has survived six months in (and mostly on) The Dandy. 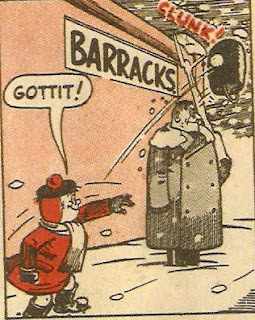 But Harry wasn't the only celebrity to appear in the Dandy. There were one off stories (again drawn by Nigel) featuring 'Little' celebrities. Or, put into Other words, celebrities when they were kids. 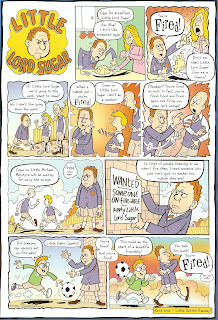 Unfortunatly, it no longer appears in the Dandy, but it's always good to read them over and over! But really, comic characters are celebrities on their own aren't they? I mean, who hasn't heard of Desperate Dan? Whats all this about? Find out soon! This weeks Dandy is out for £2.50! 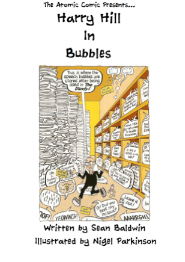 Ok, so it's a pound more than usual, but you do get 44 pages and some Toxic Slime and Squidgy Eyeballs. Just so you know and start moaning that prices were never raised because of free gifts back then, it doen't actually note that this is a free gift. I actually saw a preview of this comic a little while back on Nigel Parkinsons blog, but he never told us that the cover would be a little bigger. And yes, it is only the cover that is bigger, as you can see in the below image! 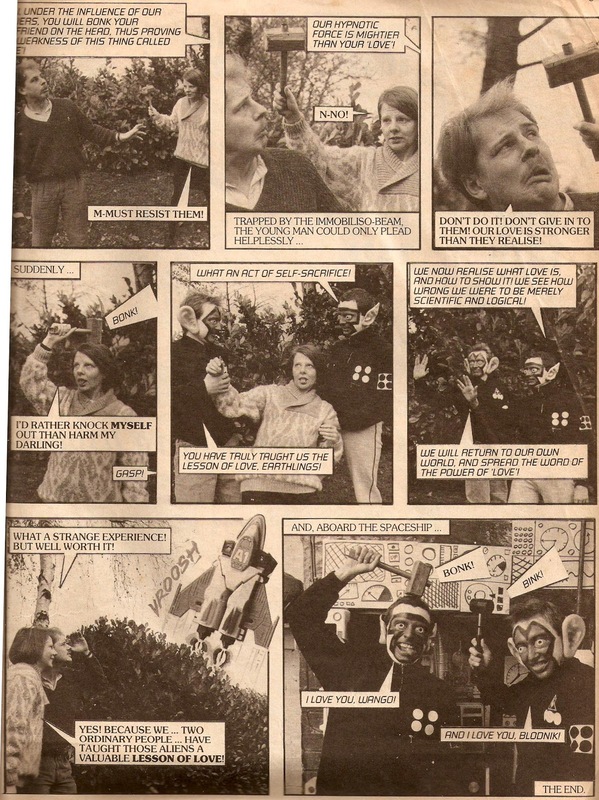 Also, the comic features the return of an old Sparky strip, Tingummyblob, drawn by Jamie Smart. 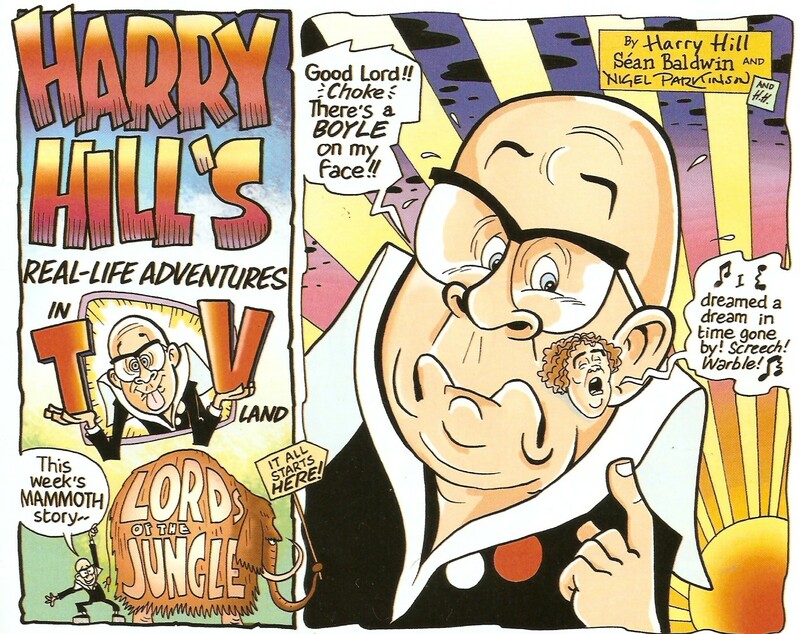 The issue also includes a 12 page Harry Hill story, Lords of the Jungle, another brilliant story drawn by Nigel Parkinson. Now, I wont give too much away, but here are the first two boxes! Next weeks Dandy will also be 44 pages, and comes with a 'Knife through head' toy. Dandy #3522, Febuary 19th 2011. 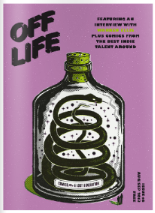 £2.50, on sale now! 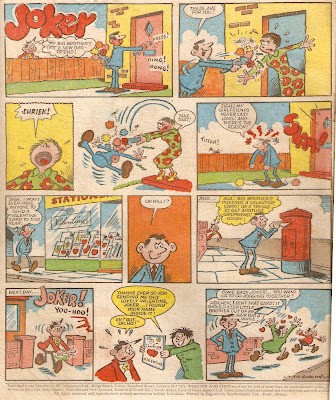 Jag No.1 hit the stores on 27th April 1968, and was the last traditional boy's comic. It was originally a 16 page tabloid sized paper, but by the end of it's run it was a 32 page regular sized comic. Jag truly was britains best doing britains best. Eric Bradbury drew the mouse patrol, a war story from 1941 set in the North African desert. It was about some boys who set out in a stolen german tank in search of their farthers, who had been kidnapped by the Nazis. They were assisted by Cleo, a Chimpanzee, who only appeared in the last box in issue one. Captain Codsmouth was the first story to grab my attention. It's about Codsmouth and his stupid crew, Fred Needle, Bos'n Mulligan and Stoker Splitpin. In the first episode, the captain discovers why they only just made it out of the harbour after three months at sea (they'd forgotten to raise the anchor)an, so he threatens his crew no pay! Brilliant art by Joe Colqhoun, and later Doug Maxted. 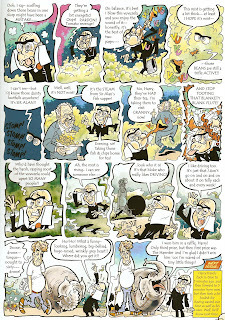 One of Jags full colour pages was taken up by Custer, from 'The Ledgend of Custer'. The opportunity gave artist Geoff Campion a brilliant opportunity to produce some amazinghand coloured artwork. 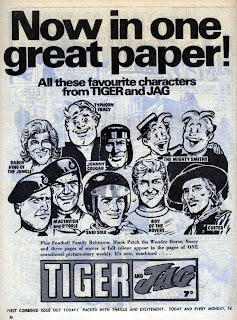 Unfortunatly it didn't last long, and merged with Tiger after 48 issues. 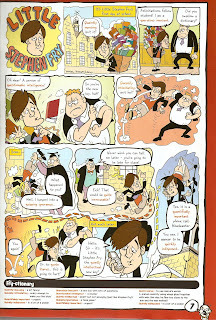 ..................................... Just thought it would be intresting to include the Beano from the same week. This issue includes one of my favorite Dennis The Menace stories, by David Law. 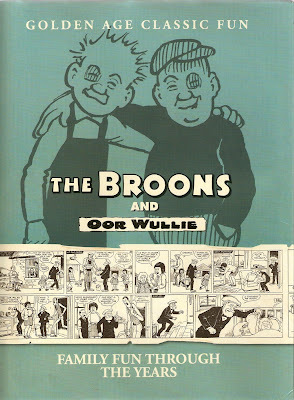 Ok, so I know it's a bit late, but here's the 2011 annual selection of Oor Wullie and The Broons. First of all, let's take a look at the Dudley Watkins collection. I was going to save this book until later this month, used to celebrate Dudley Watkins' birthday, but I decided I might as well use it now! 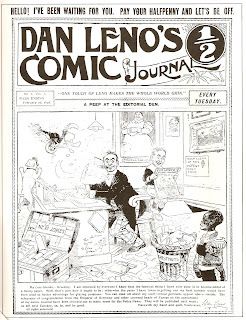 After all, he did do thousands of comic strips! This book features a braw collection of Watkins' best work in the Sunday Post, from 1936 - 1969. 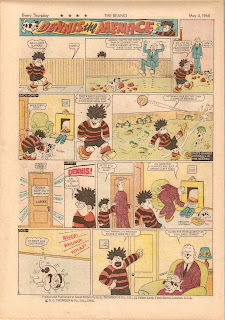 My favourite is the way he drew Oor Wullie in the mid forties. 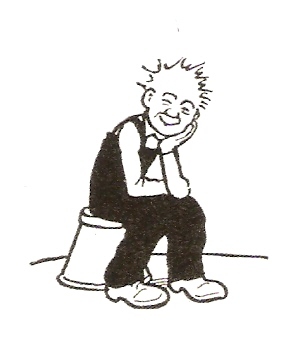 Speaking of Oor Wullie, Peter Davidson has done a brilliant job of putting together the latest annual. 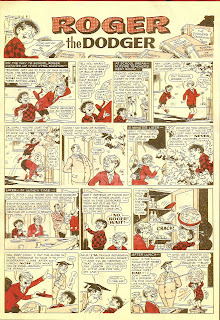 100 pages of oor fun filled lad, up to his adventures once again after his first appearence in the Sunday Post almost 74 years ago! 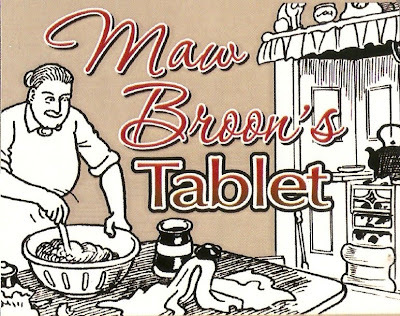 And so, whilst enjoying a good read of Oor Wullie and The Broons, make sure that you take a bit of Maw Broons Tablet! 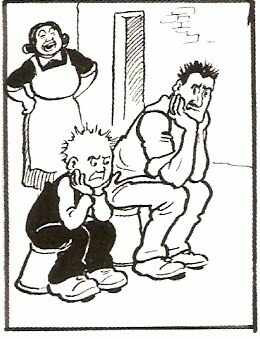 And remember, you can enjoy the Broons and Oor Wullie in the Sunday Post each week! Yes! 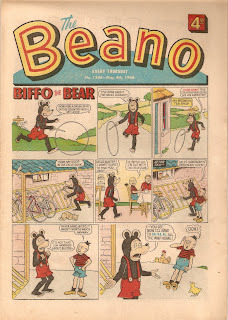 The Beano has gone retro! Well, sort of. From now on within the pages of the Beano we'll be seeing classic stories, this time it's Minnie the Minx and the three bears, by Leo Baxendale. I'm sure it will appeal to all the older readers, who will be more than happy to see their childhood favourites back, but will it appeal to younger readers? It's true that the Beano has been featuring reprints from many 80's comics, but this is the first time they've gone back as far as 1955! Will it work? Only time can tell! I was searching through my collection and decided that the first comic on Wacky Comics is going to be the Oink! 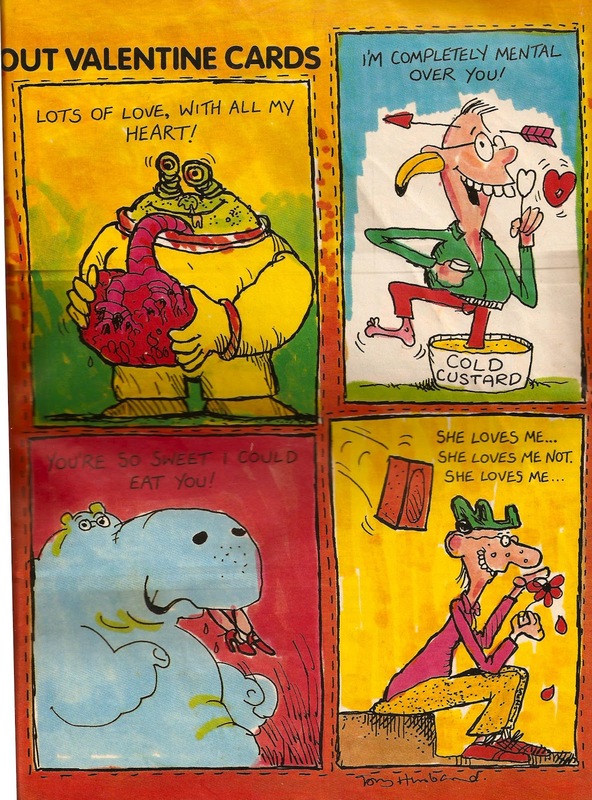 Valentines special from 1987! 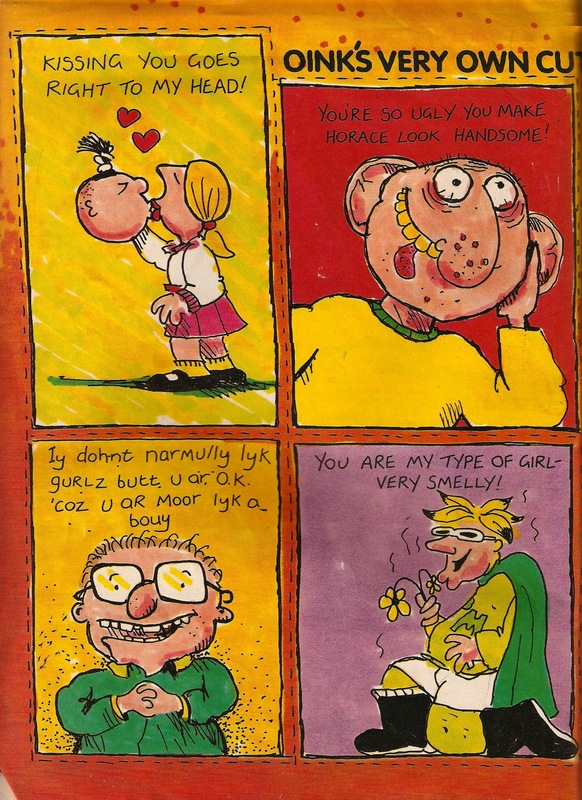 Of course, being Oink!, it's not going to be like any ordinary valentines comic. 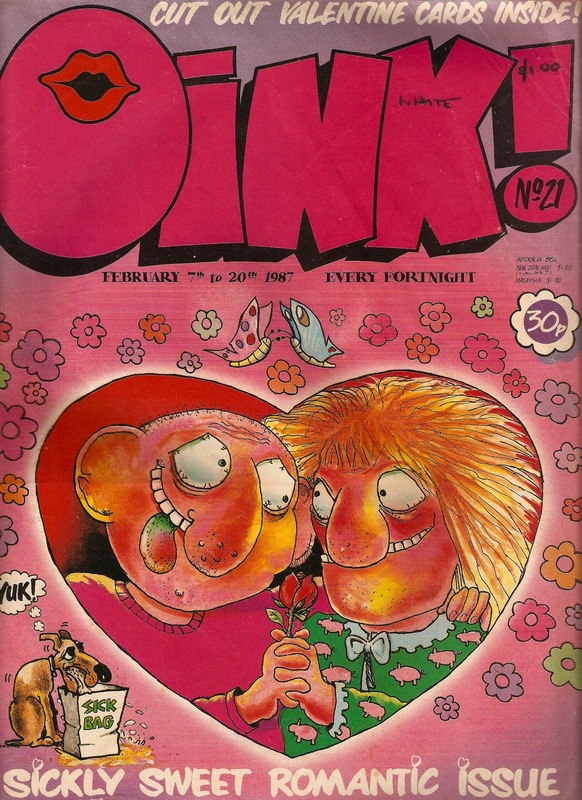 This issue features an Oink photo story called The Lesson Of Love! Basically, two aliens from the planet Bling, have come to earth claiming that love is not as powerful as their scientific powers. 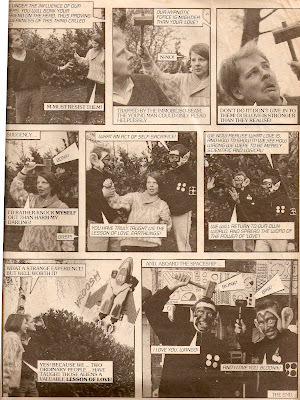 To cut a long story short, it ends with Blodnik and Wango hitting themselves on the head with a mallet. Just antoher typical Oink story! 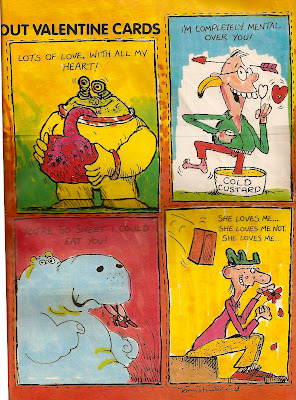 On the centre pages we get some crazy Oink Valentine cards, featuring things you just wouldn't want to see on Valentines! Art by Tony Husband. The comic finishes off with a superbly stupid back page story, which goes by the name of Stupid Cupids! Next up is this Whizzer and Chips valentines issue from two years earlier. 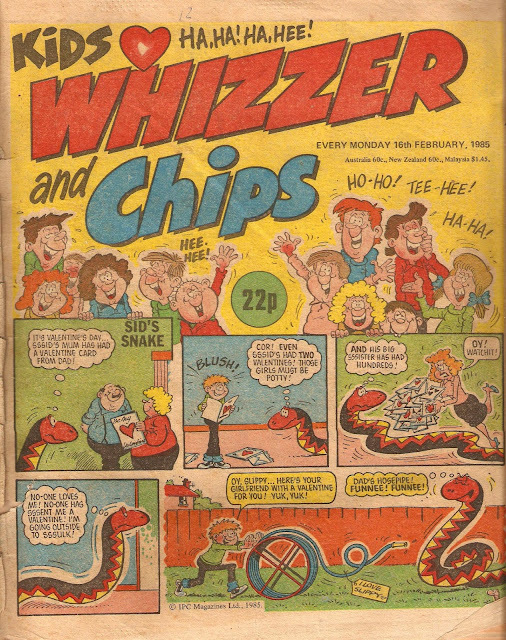 The front cover does of course feature the leader of the Whizz-Kids, Sid's Snake, illustrated by Mike Lacey. Apart from the cover, only two stories have anything to do with valentines. First up is Captain Kid, note the Ghost-Getter in panel 5. 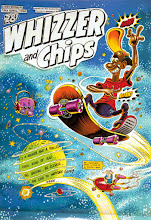 He is a raider from Ghost-Getters in Whizzer, illustrated by Trevor Metcalfe. The other strip is on the back cover, and the occasion gives Joker a great excuse to play some pranks! Artwork by Sid Burgon.